So the Low tracked just as expected. 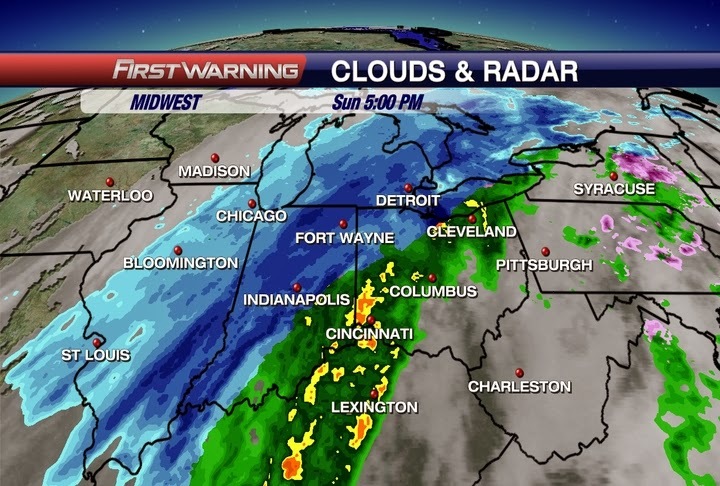 It stayed west and it cut down on the snowfall totals for Central Ohio and much of Western Ohio. 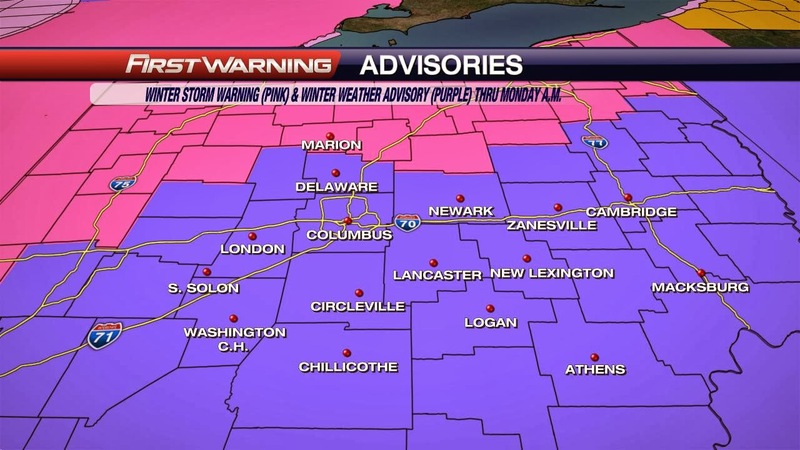 I am still not sure why Columbus and most of Central Ohio is under the Winter Weather Advisory since this system will mostly be rain and a little snow later. I see the rain switching over to snow for most of Central Ohio around midnight when most of the moisture and precipitation is pulling North. That means once we finally get cold enough and fall below freezing then nothing is left to snow. 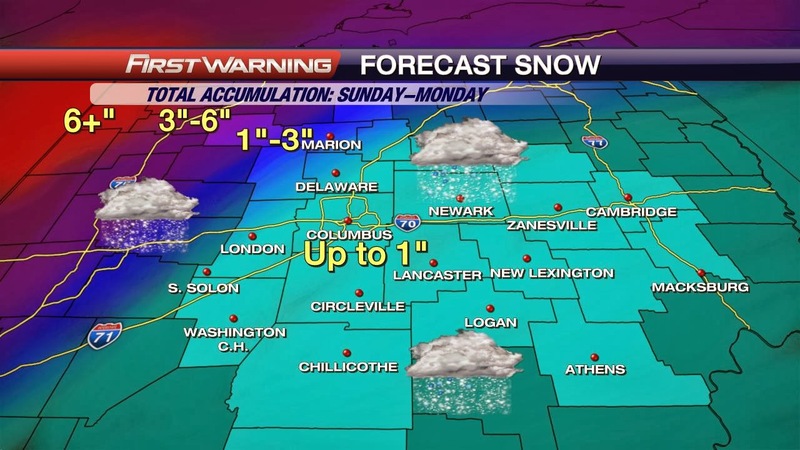 So that is why the snowfall totals have been cut down. We have stayed in the warm sector. We still saw the same "amount" of precipitation, but it just came in the form of rain. The big story for the start of the workweek will be the bitterly cold temperatures. By midnight Sunday night we will begin to see temperatures fall and they will fall throughout the day Monday and Monday night. Monday morning the temperature will be around 5°F at daybreak with wind chills around -10°F. Afternoon temps will be around -7°F with wind chills around -25°F. Monday night we will bottom out around -10°F with wind chills between -25°F and -35°F. Frost bite will occur in as little as five minutes or less. Any outdoor activities should be avoided, but, if necessary, many layers will be needed to cover all exposed skin. Another round of light snow for Thursday and then rain Saturday, as we warm up. Until then, stay safe, warm, and have a good one!